The frequency and duration of the OT sessions are determined through the results of the evaluation. A super bill will be provided at the end of each month and will have the appropriate CPT codes for submission to insurance carriers. 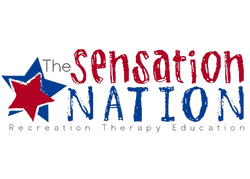 At this time, The Sensation Nation does not directly bill insurance companies. Each family is responsible for their own insurance reimbursement and authorization. Appropriate documentation is available upon requests. To register for the Therapy Program, please click here. Getting started we will get back to you within 24 hours.